Aston Villa have signed striker Rudy Getsede and midfielder Jordan Veretout. French midfielder, Veretout, joins the Villans from Ligue 1 outfit Nantes on a five-year contract for an undisclosed fee. “I am really pleased Jordan decided to choose Aston Villa over the other options he had and opt to continue his development with us,” manager Tim Sherwood told the club’s website. Veretout, 22, who has capped at various youth levels for France, has played over 140 games for Nantes, which has been his home since 2003. He is the fourth player to arrive at Villa Park from the French top flight this summer after Jordan Amavi, Idrissa Gueye and Jordan Ayew. Villa have also added Benin international Getsede from Blackburn Rovers. Rudy Getsede Joins Aston Villa from Blackburn Rovers. 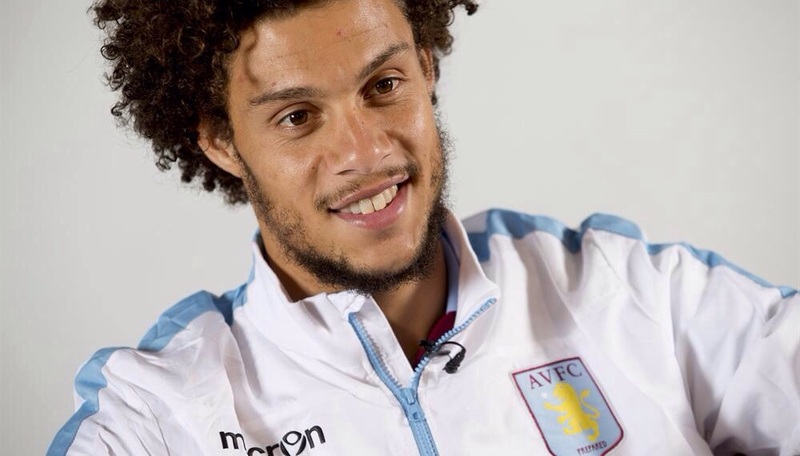 Image: twitter/AVFC. Getsede, 26, scored 22 goals (in all competitions) for Blackburn Rovers last season. He netted 34 times in 65 appearances for the Ewood Park club, where he first arrived on a season-long loan from Cardiff City in November 2013. “I have known about Rudy since he was at Cardiff City and he is a player I’ve always admired,” said Sherwood. “His goalscoring ratio last season was fantastic and he is someone who certainly knows how to find he back of the net. Getsede came through the youth setup at FC Metz, before joining Cardiff in July 2011, going on to help the club gain top-flight promotion. He has been capped six times by Benin and scored three goals, two of them in two-legged defeats by Algeria in a 2014 World Cup qualifiers. Villa have now signed nine players this summer, including: defenders Jordan Amavi, José Ángel Crespo, midfielders Micah Richards, Idrissa Gueye, forwards Aleksandar Tonev and Jordan Ayew. Real Overtakes United at the Top of Forbes’s World’s Most Valuable Sport Teams.